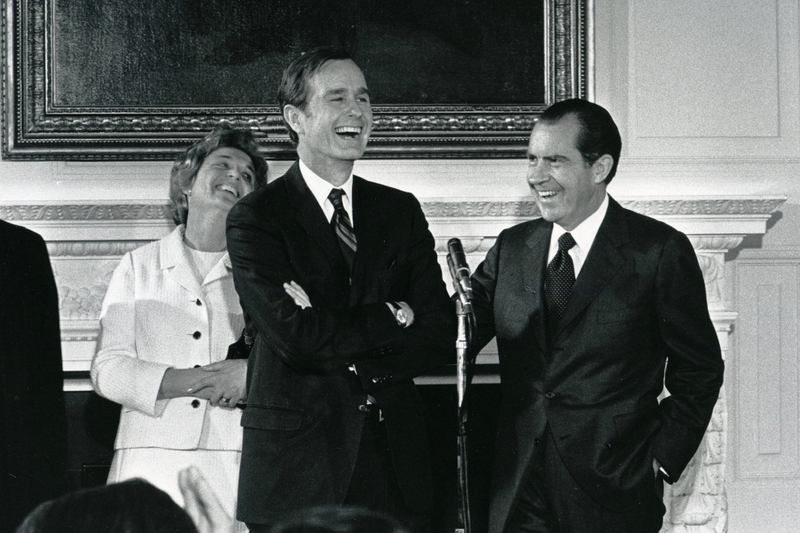 The Richard Nixon Foundation invites the public to visit the Richard Nixon Presidential Library and Museum in Yorba Linda, Orange County, CA starting today to pay tribute to America’s 41st President George H.W. Bush. The Nixon Foundation will collect condolence messages in a book that will be delivered to the Bush family. Messages will be collected until December 16 in the Annenberg Entrance Court during normal Library hours. Admission is NOT required to write a condolence message. President Bush visited the Nixon Library in Orange County three times: as the incumbent President for the Library’s Grand Opening ceremonies in 1990, for President Nixon’s state funeral in 1994, and to receive the Nixon Foundation Architect of Peace Award from Julie Nixon Eisenhower in 2000. The Richard Nixon Presidential Library and Museum is located at 18001 Yorba Linda Blvd., Yorba Linda, California 92886.